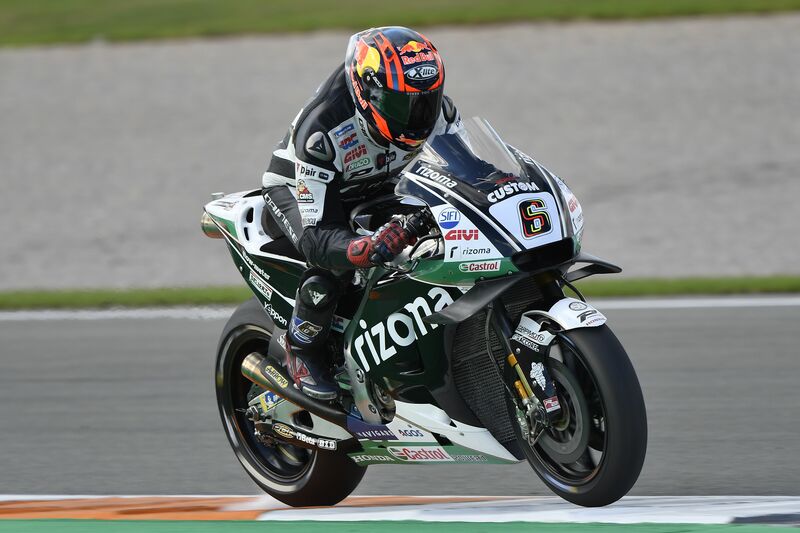 Stefan Bradl’s stand-in duties for the LCR Honda CASTROL Team continued at Valencia on Tuesday, despite the 2018 season coming to a close on Sunday. With Cal Crutchlow still absent due to the ankle injury that will see him spend the winter regaining fitness, the German rider went through the Brit’s scheduled test programme despite tricky conditions at the Spanish venue. A damp track delayed track time in the morning, before rain brought an early end to the day. In the intervening period Bradl worked through several new items for HRC, and was happy with the results. His lap time was an impressive fifth fastest of the day. Bradl’s test duties for LCR have now come to an end, and he will appear at the next test session in Jerez back in his more familiar role as HRC test rider. The LCR Honda CASTROL Team would like to thank Stefan for his efforts over recent weeks, and wish him well for the future. “We had a plan that we wanted to work on, and I think that we were quick to do our set-up changes, and so we were quite successful. We went through all the test items quickly and we were able to make the most of the short time we had available to test. This was the positive thing.